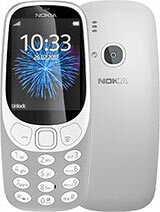 i dont like this phone because of its design...anyway 12mb can only store 2-3 good quality mp3s!! When I converted it to Euros it turned out its 286 euros.Guess It's normal because it costs the same in austria. I read at the mobile-review.com that it would cost only 180-190 euros so I thought it would be very cheap.Im in Lithuania by the way. "Sun of a...", where are you from? What was the price? I went to the store today and saw it. I thought it wouldowe been cheaper than t630 , but I was wrong. well, actually.. the first time I saw this model pic in the internet, I thought,"How ugly..." After I held the phone by my hand, wow... nice design indeed. It looks it has its unique style..
very bright & vivid screen with standard resolution at 128x160 pixels only. if it had the resolution of K700, then the screen would be near perfect. I bought one just recently and beginning to regret. 12MB shared memory isn't enough for mp3 and to make it worse, no mmc card slot. I'm a Nokia-change-SE user and I think the batt life's lousy. Compared to K700i, this phone is w/o Bluetooth as well as radio. Anyway it's only available in Silver in SG. i want to buy this phone, n i have an ufd loaded w/ mp3 files, as i read the specs of k500 has usb port, could i use this ufd w/ k500? It's in malaysia already. Yes, priced at Rm1199. They are having a launch promo at law yat plaza. Not yet in Malaysia, but soon to be. Price could be ard RM1200. Is it out in Malaysia? If so, how much? 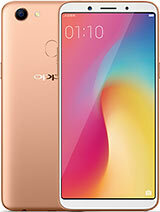 i don't think it has space for a flash ram card...thats really too bad...but i feel like buying this phone anyway.tell me guys...should i buy this phone or a full fledged pda?